This page is available as a PDF presentation, to view this please download the PDF using the link below. Ask yourself how you determined the price when you were buying. You probably compared all the other properties on the market to arrive at a value. You also need to know what has recently sold. The actual selling price of comparable properties counts and reflects a realistic market value for yours. Buyers today have much greater access to market information, so by the time they have seen your property they have already examined the competition and know their options. Your agent will go through a comparative market analysis with you and together you can determine the asking price. If you price your property too high in a sliding market, the price will keep going down and you will have lost the most qualified buyers in your first few weeks of marketing. Change your strategy in a rising market. Make sure that you are comparing apples with apples. Objectively compare location first, size second and then the condition and features of your property. The person looking to buy your property is comparing it all and this will determine if they are willing buy your property or one offering better value within the same area. Have I chosen the right Marketing Strategy? The reality is that all the exposure and marketing in the world won’t sell an overpriced property, we have a marketing strategy that we found to be highly successful and helps to show buyers how your property compares to the competition and worth taking the time to look at. Every seller wants to achieve this and priced correctly this is what in fact will happen. Be sure to check your motivation. If your primary goal is to move, then setting the price too high will NOT get your objectives met and you would have wasted precious time and money. Don’t find yourself after having lost the ‘hottest’ activity and enquiry in the first few weeks out of options, out of time and then accepting any offer you can get. It’s better to turn down offers that are too low, rather than not get any at all. Price is like a magnet, it will attract either the right buyer or the wrong buyer with expectations one cannot meet. We have a strategy regarding price that can get around this issue when done correctly, can see great results. You need to establish if the benefits of selling at a loss, exceed keeping it, and staying on, if the market has changed since you bought you need to determine if the reason for selling out ways the possible loss or not achieving your price expectation. Do you need to sell or do you want to sell, we not only can advise you on what price the market is telling you your property is worth but we can advise you if now is the right time to be selling? If you not sure and need financial advice we can recommend Brokers and financial advisors to help you to make the right decision. Knowing where you sit in the market, will help you to know where you are going. 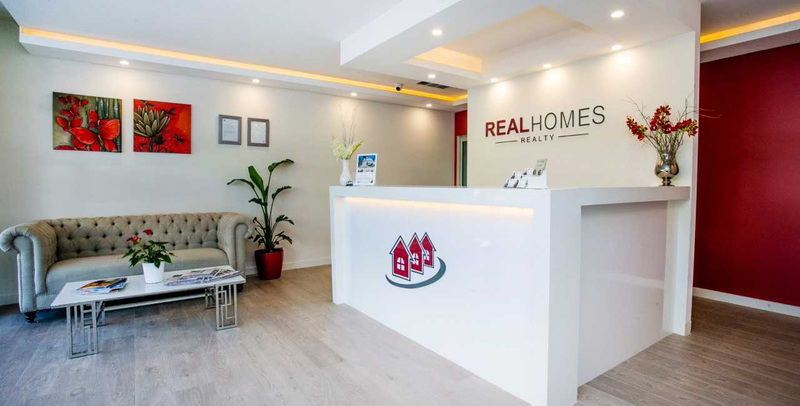 Real Homes Realty is a Boutique Real Estate Agency, renown for insisting on Excellence in both Relationship Management and Clients Results. Specialising in Sales and Leasing. Realty Homes Realty prides itself on its team of committed agents who put your goals and needs first. Our main goal is to make the buying & selling process a straight forward, stress-free & enjoyable experience. Ask about staging your home: we can help! Every property is not the same and neither are we; we tailor individual marketing packages to suit both property and needs. Every year we spend thousands of dollars marketing our client’s properties across a large range of media including print and online. We are known for delivering outstanding results in speedy time frames. To us, a successful sales does not end once an offer has been accepted. At Real Homes Realty, we help you every step of the way. From understanding the process, to assisting you with finding a new place to call home. We strive to build long-term ongoing relationships; you are not just another sale.